What happens in the moments after the eco-apocalypse? How can we possibly find hope in the face of so much global devastation? Welcome to a brave new world of hope. In its European premiere, Perhaps Hope weaves a mesmerising reflection on the state of the world. Drawing inspiration from chaos theory, biomimicry and current social commentary, it is particularly timely with climate change a pressing issue in global politics. 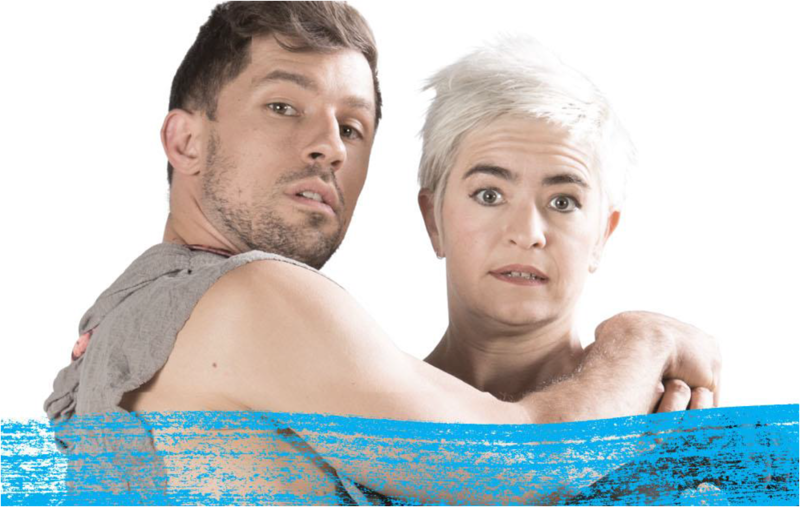 Perhaps Hope has already wowed audiences in Adelaide, Melbourne and Perth, winning the ‘Original New Circus’ Award in its premiere season at the 2015 Melbourne Fringe Festival. The show has also been nominated for two 2015 Greenroom Awards (Innovation in Contemporary Circus; Performance in Contemporary and Experimental Performance) and played to sold-out audiences at the 2016 Fringe World Festival in Perth. Rockie Stone comments, "Global warming is still an issue, the waters are still rising, and people are still being displaced. We live in a time of unrest and turmoil, in a crazy and harsh reality that sometimes utterly overwhelms us. This show is an honest and current expression of what we are grappling with as artists and as humans on the planet at this time. It is a work that feels urgent. We bloody well need to do something, and we need to do it now."